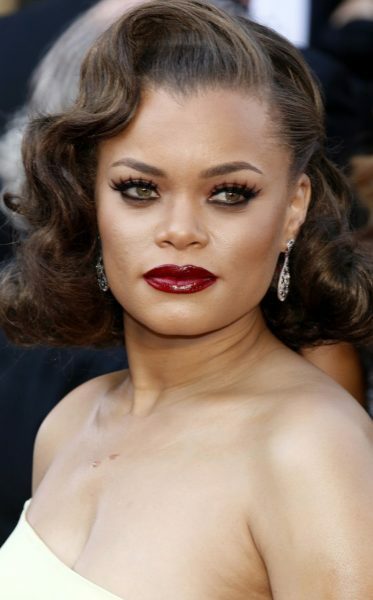 Andra Day is an American singer and songwriter. A picture of Andra with her father can be seen here. Okay maybe a tad lower than 45 at most. She looks like Rihanna. Probably anywhere between 20-45 percent European going solely by looks. my soulmate the same thought ! @Alexgro she looks more to me like Tyra Banks or model Eva Pigford or a heavier Vanessa Williams the former Miss America. She is an excellent singer and sang very well at the New Years Eve Celebration Tyra Banks who tested only 14 percent European admixed. Similiar looking other African Americans. I think alot of people who are not exposed to African Americans or African Carribeans and who only rely on television really do not know how diverse we can look, without recent admixtures.